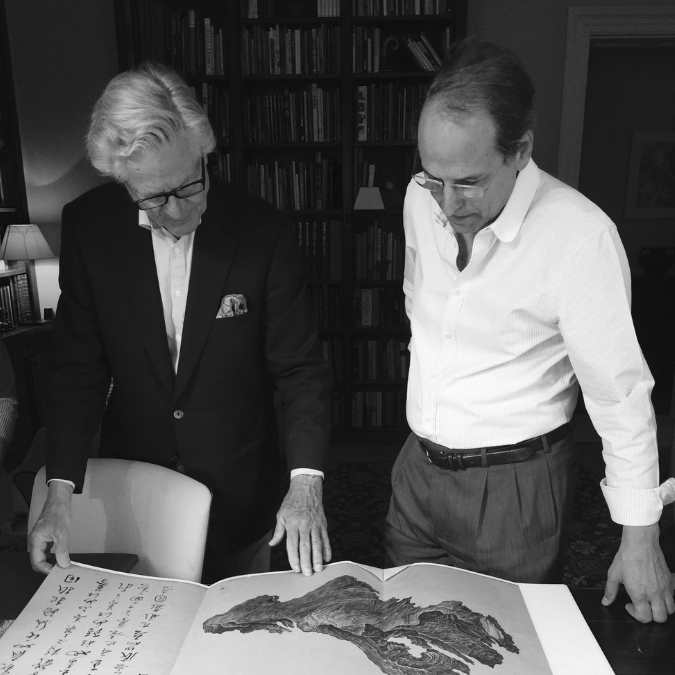 Michael Goedhuis and Ornan Rotem with Wu Bin's unique 17th century scroll painting Ten Views of a Lingbi Rock, ed. Marcus Flack (London: Rasika, 2017). Michael Goedhuis, trained as an economist with degrees at the Courtauld Institute in art history and with an MBA from INSEAD in Fontainebleau, started his career in investment banking in New York and London. He then joined Jacob Rothschild (now Lord Rothschild)’s Colnaghi specialising in Persian, Mughal and Islamic art. Major collections were curated and sold by him to numerous institutions including The Rothschild Collection to the Shahbanu of Iran and the Vever Collection to the Smithsonian Institution. He subsequently expanded his dealing activities to India, Japan and China, concentrating on important antiquities which he continues to deal in. During much of this time he was writing for The Economist on art and the art-market as well as for numerous art publications. In the early 1990s he began to concentrate on Chinese modern and contemporary art and was the first dealer in the West to enter this field with a series of important exhibitions including the pioneering exhibition at Sotheby’s, New York, in 2001 China Without Borders: Chinese Contemporary Art. In 1998 he assembled and curated the major contemporary Chinese art collection, the Estella collection, which was exhibited at the Louisiana Museum of Modern Art, Copenhagen and the Israel Museum in Jerusalem. 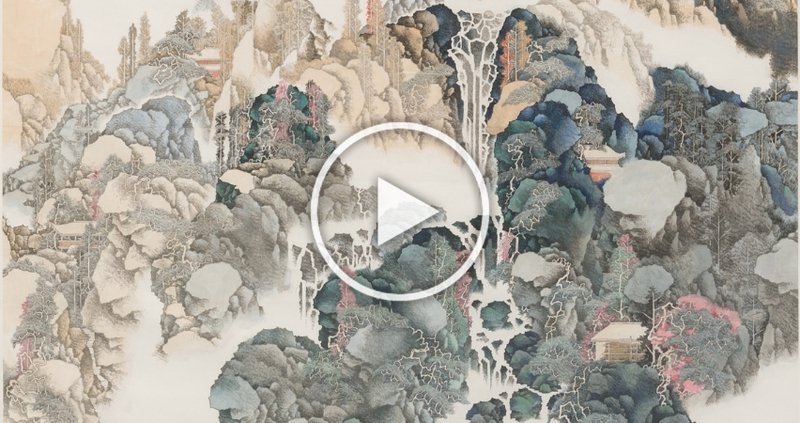 Most of his activity since then has been directed at describing both the resurgence of cultural activity in the China of today and the key relevance of Chinese Ink art to contemporary aesthetics. In addition to representing the best contemporary Chinese artists, his activities now include exhibiting work by the best of the new generation of Western artists, both painters and sculptors.